Robert Lee Kincaid arrived at Cumberland Gap on January 15, 1912, to attend Lincoln Memorial University. Thus began the love affair with The Wilderness Road. After service in World War 1, Kincaid returned to his alma mater. Kincaid thoroughly researched Daniel Boone’s Wilderness Trail believing it to be a story that should be told. 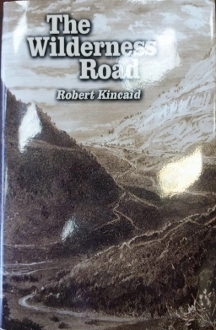 His publication of The Wilderness Road was first issued in 1947 and dedicated to the memory of his son, Robert Hugh Kincaid. Both father and son now sleep by the Road. This classic publication has become a favorite over the years by many with an interest in the old Wilderness Road.